Why would The Boston Celtics tweet out a Pass the Torch message including past team Champions with three present Celtics players? It looks like (could be wrong) Satch Sanders, Bob Cousy and Danny Ainge sitting down with Kyrie Irving, Marcus Smart and Jaylen Brown in different sequences. What do our readers think? 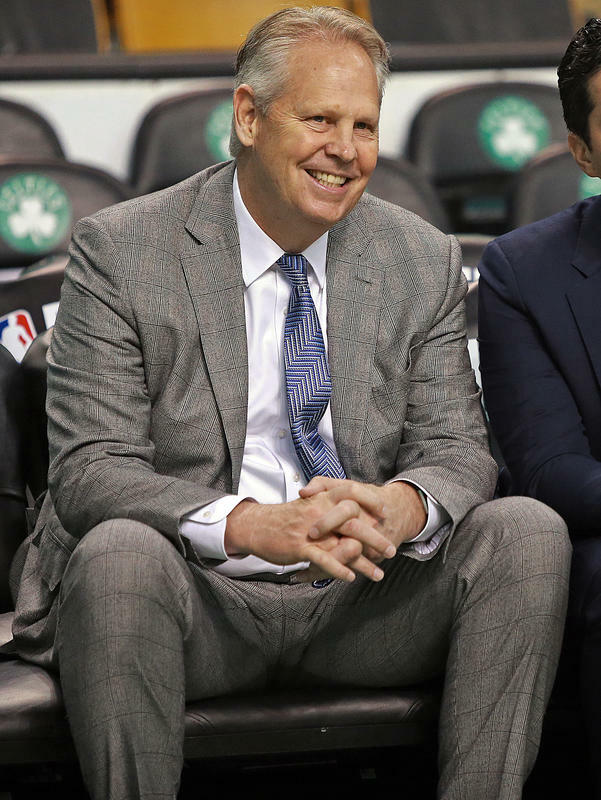 Are Danny Ainge and Brad Stevens about to finally name a captain for this team? Could be, but I think not. But it is possible that Danny and Brad feel the need for a team captain going into the post-season. More likely, though, it is about prior Celtics Champs conversing with (hopefully) the future Title winners prior to the upcoming playoffs. We see former ball-handling wizard, Bob Cousy - defensive ace Satch Sanders - and long-range shooter, Danny Ainge. As a parallel, from the current team we have Point God Kyrie, fierce defender Smart and improving shooter Jaylen. The slogan of the mystery tweet obviously concerns passing of the Title Torch by the older guys to the new kids on the block. The old guys have a combined 17 Championship rings as Celtics. So, that's my guess. A televised series involving the older, proven Champions and the potential, younger Title winners. What's your guess?